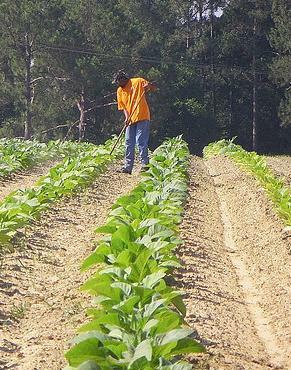 African-American farmers have been fighting for just compensation for discrimination since 1998 in the Pigford case. In 2008, President Obama signed a law that allowed all those who participated in the original Pigford case to pursue their claims. However, the original amount of $100 million would not have been enough for all the farmers to be justly compensated. As such, an additional $1.15 billion have been allocated as possible compensation for the claimants. Currently, claimants have until May 11, 2012 to file their claims to receive a portion of the allocated money. Any claims made after that date will not be honored. The Law Offices of Gregory Krasovsky can represent individuals who may be elligible for compensation from the Black Farmers Discrimination Litigation Settlement. We strive to provide fair representation and ensure that full settlements are paid out in such a way as to guarantee justice. If you are a eligible for compensation through the Black Farmers Discrimination Litigation Settlement, the Law Offices of Gregory Krasovsky can provide you with the legal representation you need to be justly compensated. Contact our attorneys today to schedule a free consultation. We take all claims seriously and personally attend to all of your legal needs. A discrimination lawyer working with the Law Offices of Gregory Krasovsky will help you claim your rightful compensation.